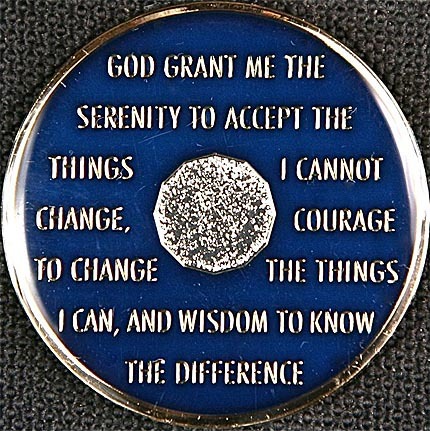 The Blue Gold & Silver Tri Plated One Year Medallion with "To Thine Own Self be True" and Recovery, Unity and Service on the front and the Serenity Prayer on the reverse. 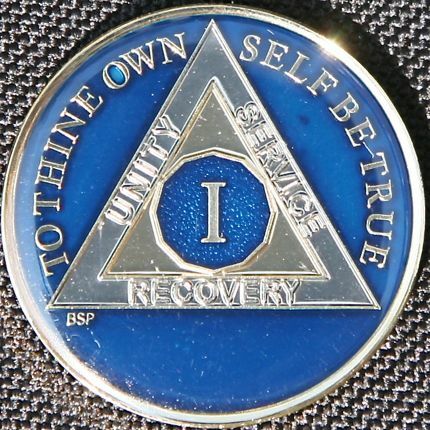 Celebrates 365 days, 52 weeks of Sobriety. 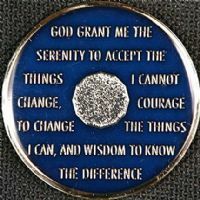 Three Hundred and Sixty Five Days, One Day at a Time. Measures 34mm.